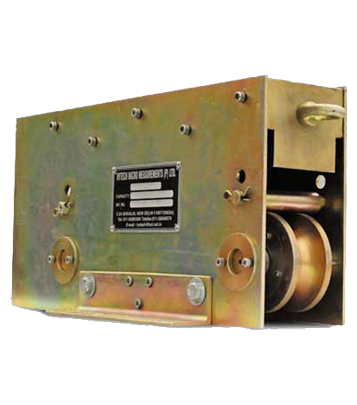 Running line tensiometers are designed for line tension, speed, and payout monitoring - 3 essential variables for offshore mooring applications. Running line tensiometers can also be used for ensuring the safety of oceanographic payloads and towed cargo. All units are constructed from powder-coated alloy, when paired with the Winchmaster display, the system provides winch operators with crucial real-time line parameter monitoring and maximum flexibility in line parameter viewing, sensor calibration, Data logging options are also available.